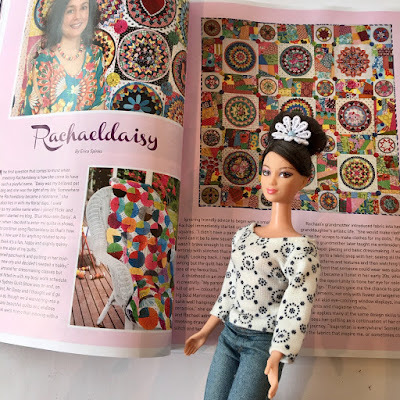 Glossy Pages - and a little giveaway! Plus there's lots of photos of my quilts. It's not all about me of course. The magazine is jam packed with great articles and projects. The cover quilt is by Christine Lethlean and there is also a lovely feature about her in her studio. Amongst the many patterns are ones by Chris Jurd, Deborah Louie, Anorina Morris. There are exhibition overviews and product reviews and all the regular columns. 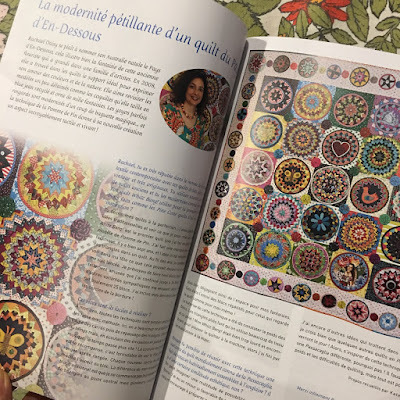 Sending out a big thank you to Michelle Marvig, Quilter's Companion Magazine for featuring me and to Erica Spinks for making my colourful ramblings sound coherent. On the other side of the world in a French magazine called Les Nouvelles. Katell Renon has written a wonderful article all about Pine Burr quilts focusing on US quilter Betty Smith and her traditional pine burr quilts and then my contemporary approach to the blocks through my Whizz Bang quilt. The magazine is in French but as they say "A picture is worth a thousand words". The many pictures definitely say a lot! The articles focus on a wide variety of styles from modern, traditional, red work, Japanese quilts. I've been thinking I should work at translating them to learn some French. 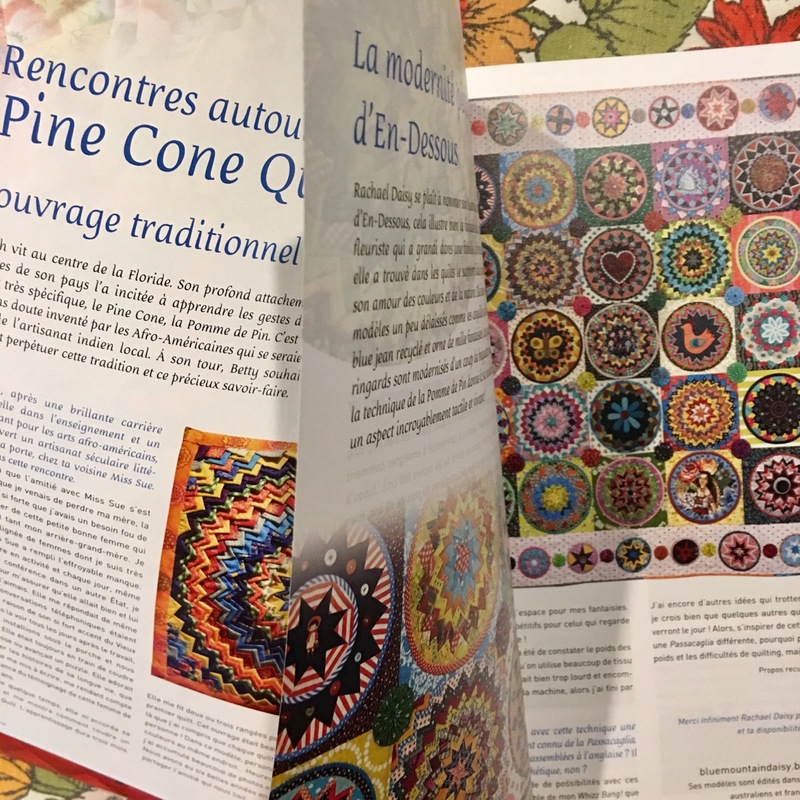 Sending out a hearty Merci beau coup to Katell for including me in her article and to Les Nouvelles for having an interesting feature about Pine Burr quilts. The Giveaway is now closed. I want to send out a special Thank You to everyone who entered the giveaway and for your wonderful comments. I do appreciate each and every comment. 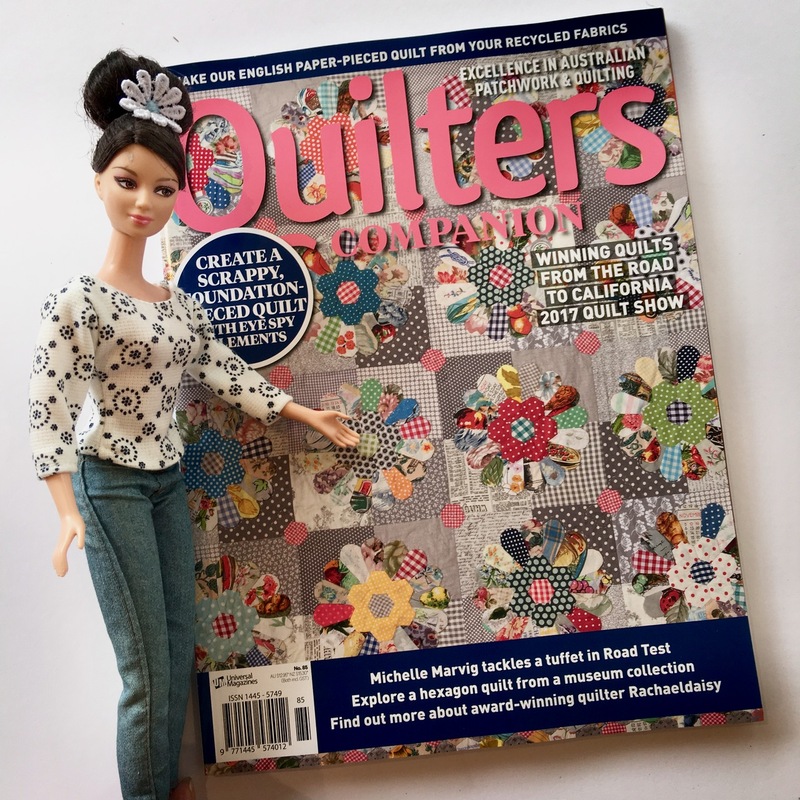 Congratulations to Wendy of The Constant Quilter who won a copy of Quilters Companion magazine. The funniest thing happened when I went to email her to let her know she was the winner I saw I had an email from her. She was telling me I'd won a giveaway on her blog!! What are the chances of that happening? Just amazing!! You know I always like to squeeze in one last photo... Today's pic is in response the lovely comments about the sunny scene of my lounge room in my last post. I was playing around with my iPad and somehow took this photo. 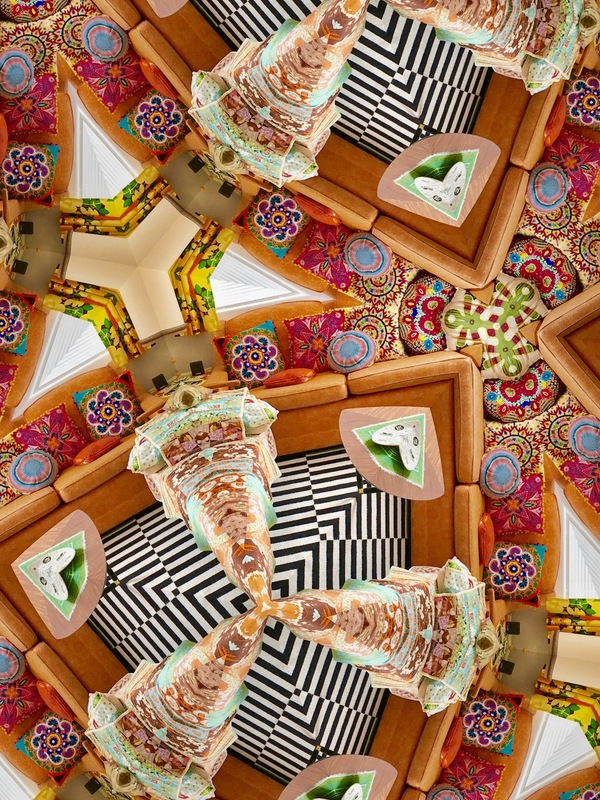 I like to think the kaleidoscopic view is a bit "Alice in Wonderland". So keeping with the theme I'll wish you a happy, colourful day and with a swish of a quilt I'll disappear down a rabbit hole! Congratulations Rachael...I made sure to race out and get my copy as soon as I read that you were featured! Fantastic issue! How exciting to be featured in both magazines......even on the international stage. 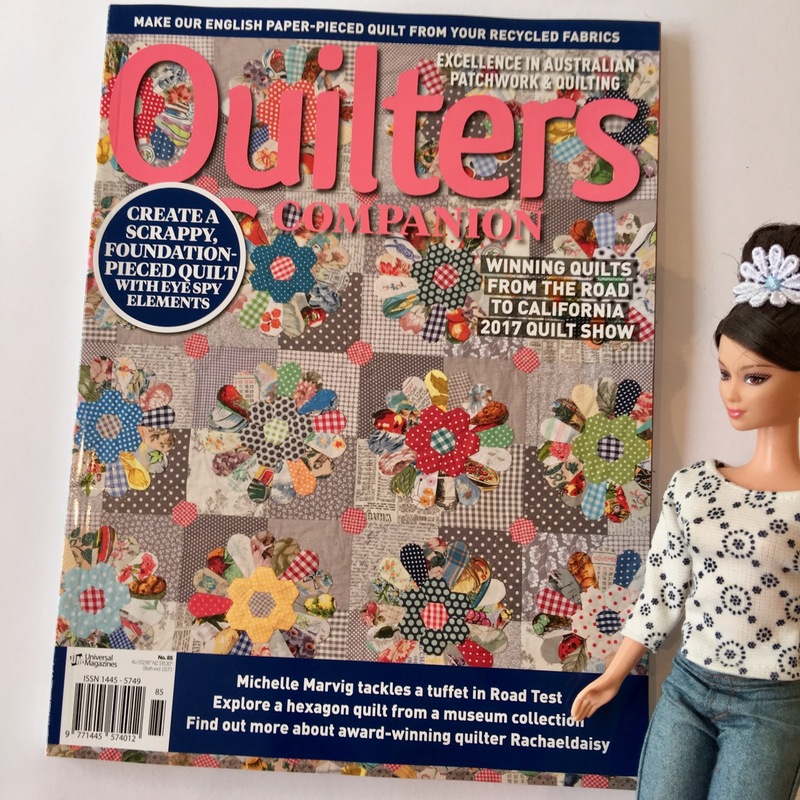 I enjoyed reading the article in Quilters Companion when it arrived in the mail the other day, so don't bother putting me in the draw. Thank you for the giveaway! I try to read your blog regularly, its always a treat. Someday I'd love to learn how to keep the pine burr rounds from going lopsided. I'm so thrilled for you to be part of the magazine--how fun! That final photo really is crazy--a rabbit hole for sure! Great looking magazines and congrats on your articles. Would love to see your article! 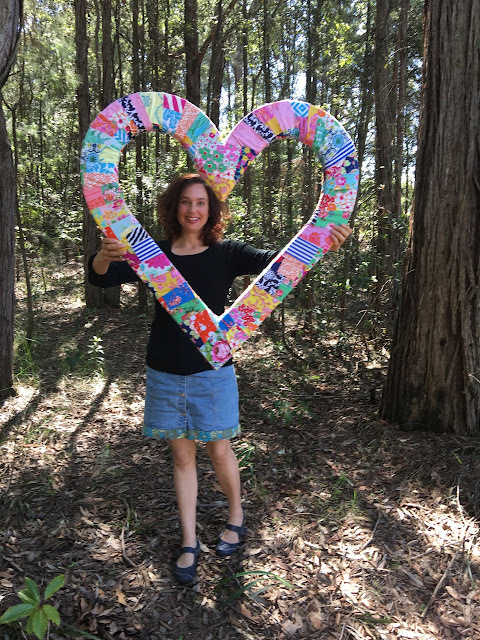 You are such an inspiration always demonstrating how much fun and happiness quilts can be. Tour blog and Instagram posts always let me start each day with happiness, a smile and a touch of sunshine. Thank you. Congratulations, and I'd love a copy of the magazine. 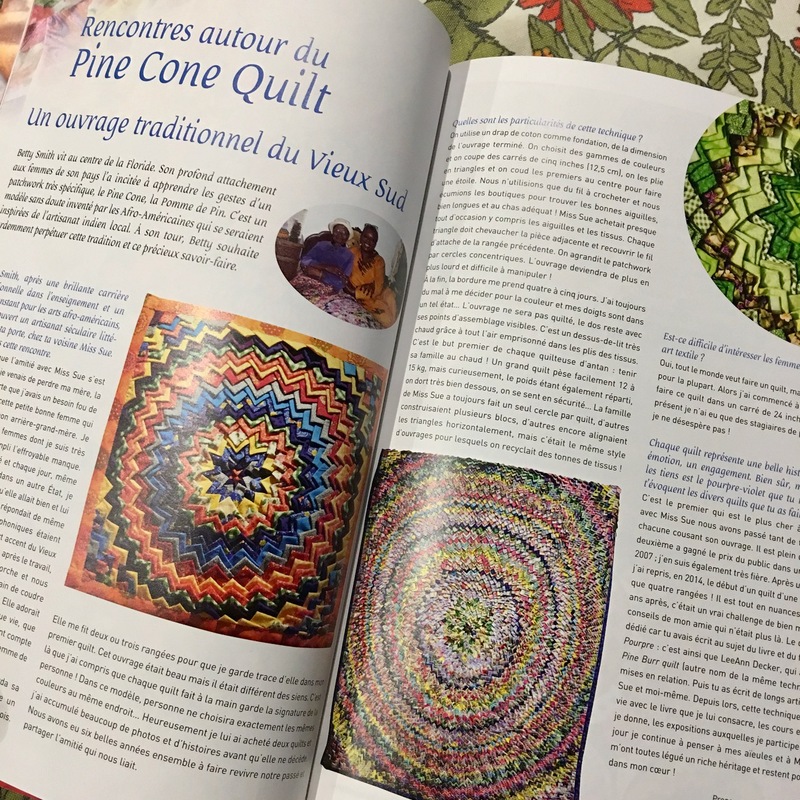 The article about you and your quilts in QC is wonderful because it sounds just like you. Well done to you all. How exciting to be featured in 2 (!!!) magazines, basically at the same time! It really speaks of your dynamic place in all our quilters hearts!! Your last photo cracks me up! It looks like how I imagine your world...full of color and twirling, just for fun!!! xoxo! 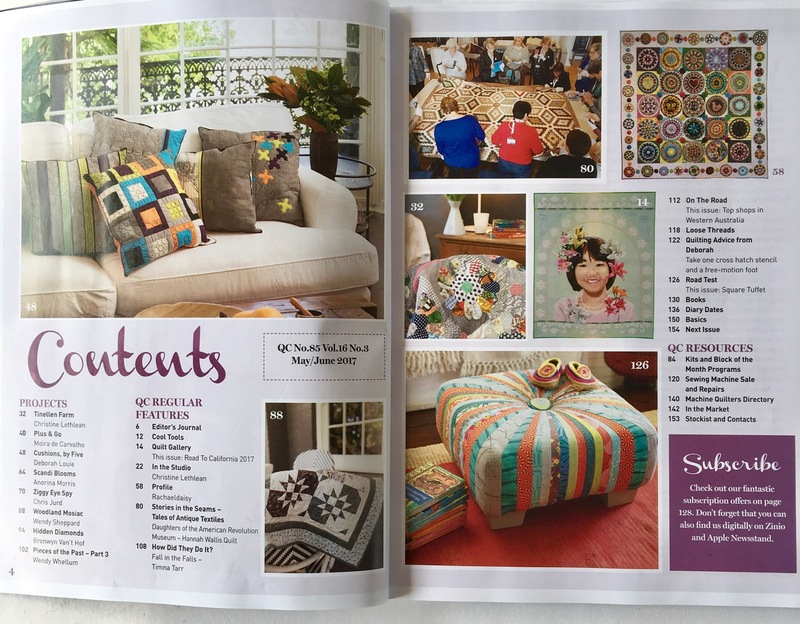 How wonderful to be featured in not one, but two magazines! A well deserved recognition for sure. Congratulations on being featured in two magazines. 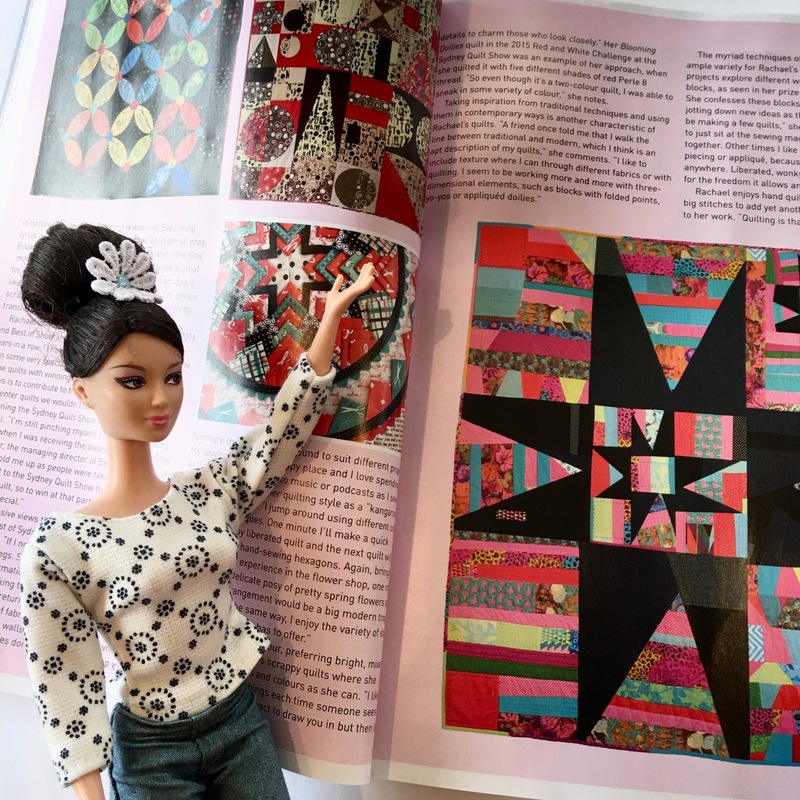 Your quilts look like a lot of fun and festivity. congratulations! you and your work definitely deserve the recognition! i love your quilts...so vibrant and alive. :) thanks for the chance to win a copy of the magazine and read about your journey. Your work is definitively well deserved with these two issues ! Of course I have the last in French and I can tell you that you are soooo popular in my country and you have lots of fans ! Congratulations Rachael and thank you for this giveaway ! Thank you for the giveaway! 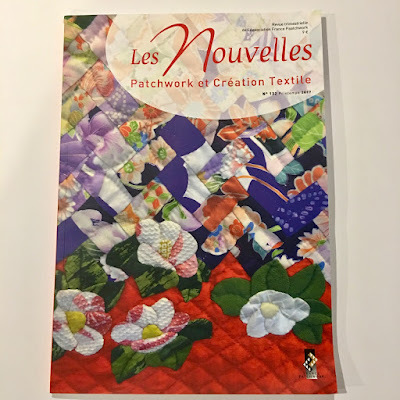 Interesting--I didn't know quilting was popular in France. As you say, good way to brush up on your French. Will have to see if I can find the mag. congrats on being published - would love to be the lucky winner so I can share with my friends. Would love to win the magazine to see your work, and show it here in Spain ! Thanks for the chance to win, rachael! You deserve all of the write-ups and I am delighted to have an opportunity to read more! Squeal! How exciting! I so enjoy reading your posts. Your sense of humor is right up my alley. Thanks for sharing such wonderful news! 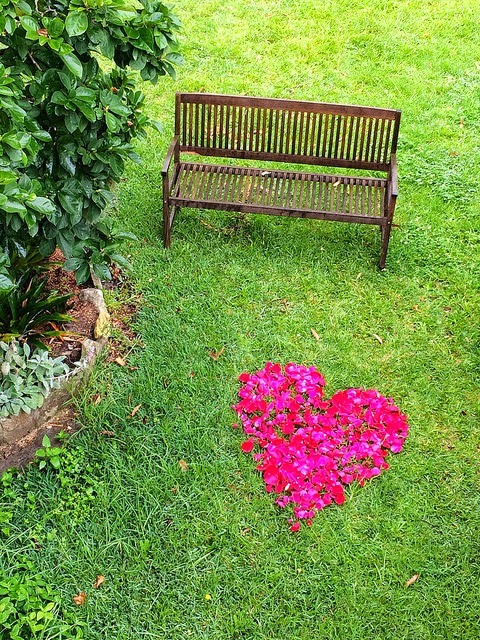 I just love the picture you took of the bench and the flower heart. What a great thank you. Thanks for the giveaway. I am such a HUGE fan! Congrats Rachel!! Celice is right! You have fans in France, me of course!!! Congratulations Rachael, that's very exciting! Love your last pic, so playful! 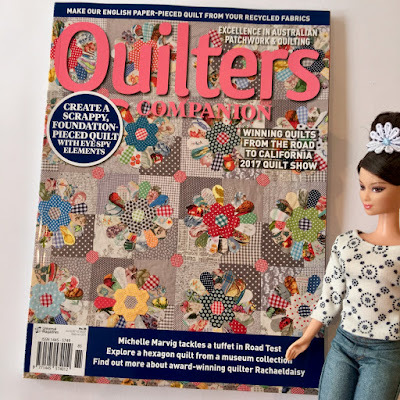 Hi Rachael: It is so lovely to hear about your journey in quilting. I bet when you started you didn't imagine so much coverage (excuse the pun-coverage-by quilts-anyway). You deserve it and I am so jealous that you have the time to sit and sew. So, I will just drool all over your success and creativity! I can't wait for summer, so I can enjoy the outdoors and sew some too. Oh my oh my...the brilliant one has now 41 comments...sigh...let me be the next greatest fan!! I will have to look around for that magazine!! Tomorrow!! I have the magazine in ma hot little hands....clutched to ma heaving bosom.......so I am not commenting to recieve a freebie but to comment on that trippy photo. Say whaaaat? Awesome! How exciting to be published. Well deserved. Love your blog! Thanks for the giveaway, and the information on the magazines. How exciting to be published--well deserved, too! Would love to win the magazine--hard to come by where I live! Thanks for the giveaway! Glad to see you and your stand-in (Barbie ) sharing your wonderful news. The kalidaskope photo is a great peak at your whimsical creative spirit. Congratulations! I'd love to share a copy of the magazine. Congratulations on being in 2 magazines at the same Both articles look very interesting and I might try to track down the French one. That final photo definitely looks like a quilt you could make. congratulations on another Magazine article - or should I say two. I'd love to have a copy to read here in the US. If I won, I would read and giveaway to keep it moving in the US as I don't think we have this one. neat last photo - looks like good quilting inspiration. This is another very exciting event. It is so wonderful to see you featured in magazines on both sides of the world. Just from your post the photos look wonderful. Congratulations. Have fun with your give away! Congratulations, my friend! I am still curious on how much your Pine Burr quilt weighs. That last picture reminds me of my childhood and handmade Kaleidoscope toys. What fun! 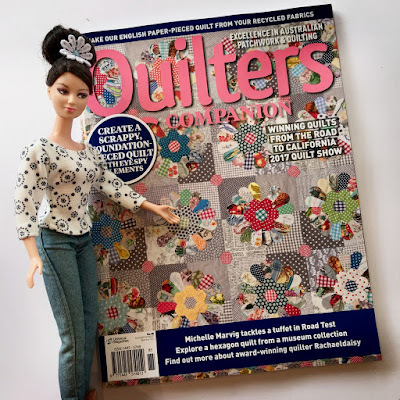 I would love to read this magazine and learn more about you and your quilting. Thanks for the chance to win. You go from strength to strength and your work gets bolder and more joyful. Brava! Your business garage, alongside arranging, is our forte. Our supervisors, planners and tradesmen cooperate with you to cover all parts of your venture. Make you have a noteworthy business showing with regards to do? We can deal with it and give you best quality plan, establishment, items and client benefit. Here are possibilities for the Sydney Concretor, new garage cost, cost of new carport, sydney Driveways, solid garage repair, carport solid repair, stamped carport, proficient garages, hued concrete garages, garage value, garage hues, north shore concretor and stamped carport.